CBDT notifies notification no. 36/2017 dated 2 May 2017 and makes 9th amednment in income tax rules with a new income tax form 10-IB for startups to opt for lower tax rates. 1. (1) These rules may be called the Income-tax (9th Amendment) Rules, 2017. “21AD. 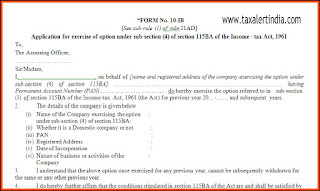 Exercise of option under sub-section (4) of section 115BA. 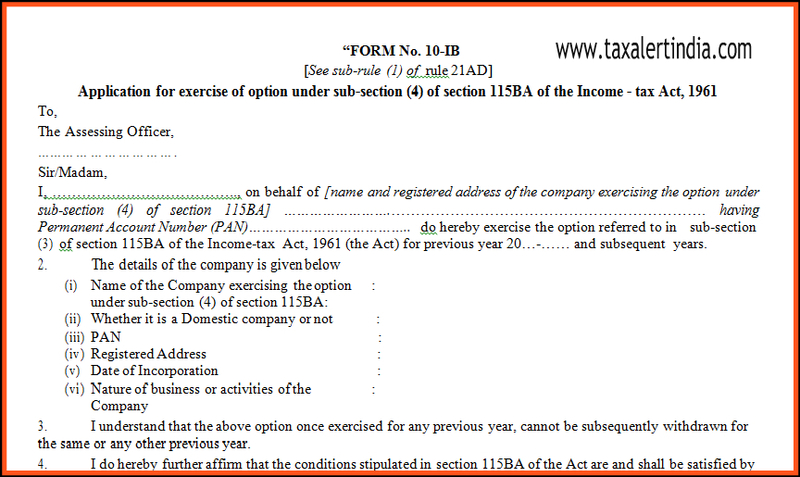 (1) The option to be exercised in accordance with the provisions of sub-section (4) of section 115BA by a person, being a domestic company, for any previous year relevant to the assessment year beginning on or after the 1st day of April, 2017, shall be in Form No. 10-IB.